We're commemorating 2018 fall tour with a tee featuring a bunch of greasy animals. 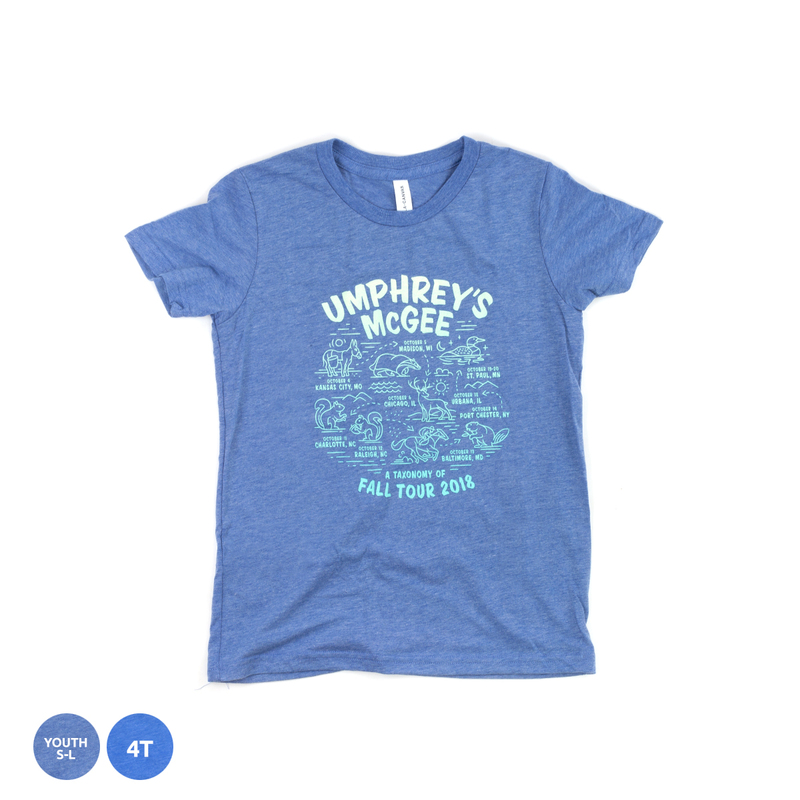 The "taxonomy of fall tour" includes illustrated state animals for every stop, and comes on an ultra-soft blue tri-blend unisex kids tee. 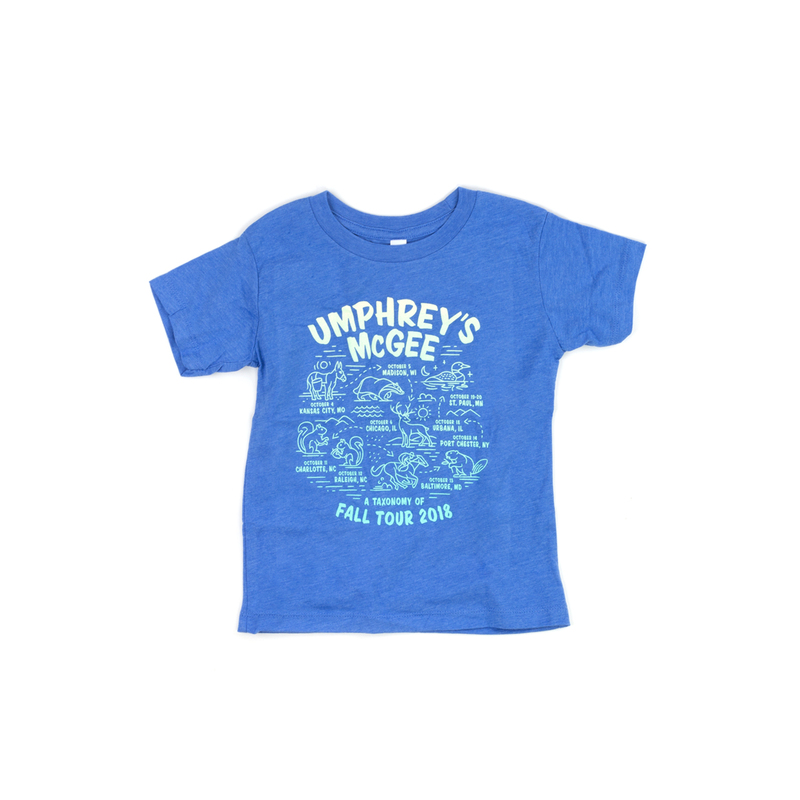 Toddler sizes come in Columbia Blue.